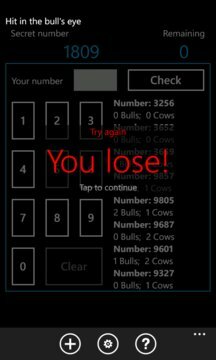 Bulls and Cows is a game that the intention and discover the secret number, which may have three, four or five digits, depending on the level. Cow is when you hit the number, but, the number is not in the right position. Bulls is when you hit the number and position it as well. 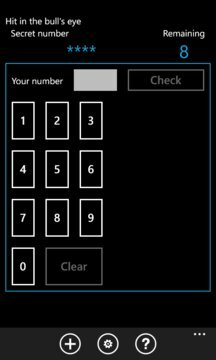 Win the game when you discover the secret number.